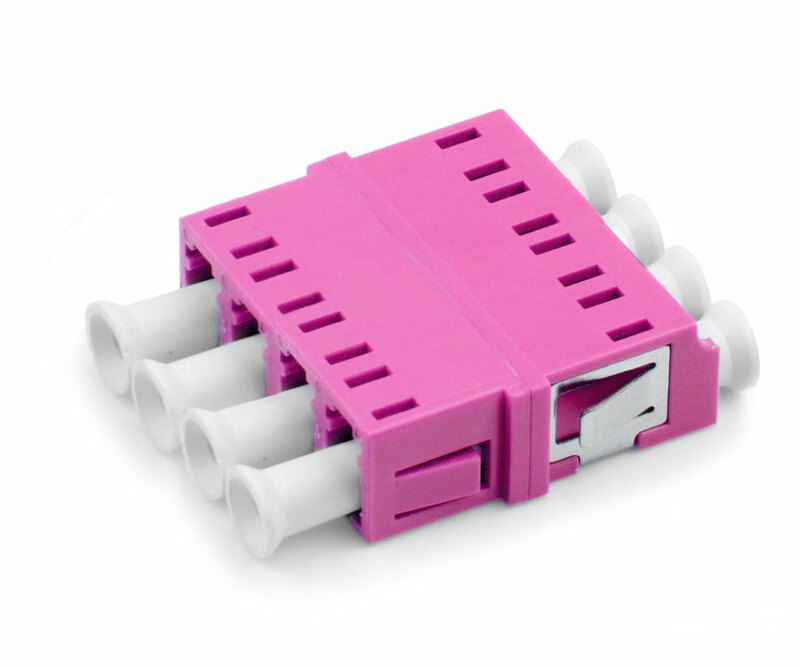 This Erika Violet OM4 LC Quad Coupler with no Flange is used for pairing two LC duplex patch cables together in either a standalone configuration or using a fiber adapter panel. Its SC footprint design allows the use of an LC Adapter in an SC panel for double the density. Premium one-piece housing design with no welding point helps to prevent breaking. Great for premise installations and Gigabit Ethernet.